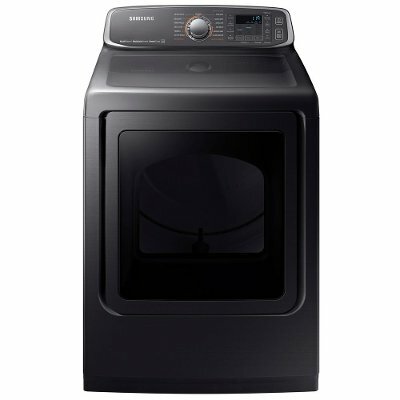 With a black stainless steel finish, this Samsung Laundry Pair from RC Willey is going to look great in your home. With a black stainless steel finish, this Samsung 5.2 cu. ft. High-Efficiency Top Load Washer with Active wash from RC Willey is a true game changer in the laundry room. This washer has a built-in sink for pre-washing your clothes. No more soaking clothes in the sink and getting water all over the floor when transferring garments from the sink to the washer. This one-stop solution for all your treating and pre-washing needs comes complete with water jet and scrubbing board. This washing machine also features AquaJet Deep Clean Technology that cleans your clothes deeply, but gently. Bring home this Black Stainless Steel 7.4 cu. 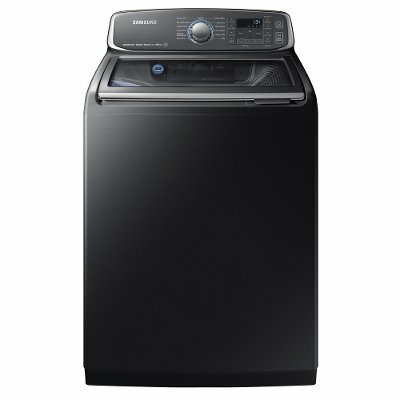 ft. Extra-Large Capacity Samsung Electric Dryer with steam from RC Willey today! This Electric Dryer easily freshens clothes and efficiently removes wrinkles. It automatically adjusts drying time by sensing moisture, so your clothes do not over or under dry. 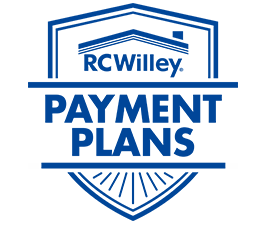 The NSF-certified sanitize cycle eliminates 99.9% of household bacteria from laundry. The extra-large capacity is big enough to handle a king-size comforter.